2. Use the Student Center to see your enrollment appointments and check for holds(will prevent registration). 3. 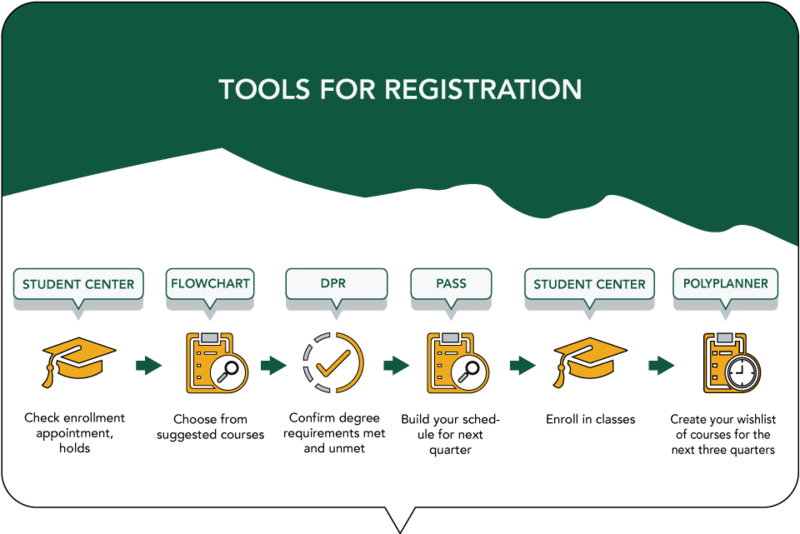 Consult your Degree Flowchart to choose from suggested courses for the upcoming term(s). 9. By the 8th day of instruction: update add/drop and/or grading options in Student Center AND update PolyPlanner for the next three quarters.